Pine Mountain, GA (May 27, 2018) - The all-new Ski Nautique made an incredible impression this weekend at the 59th Nautique Masters Water Ski & Wakeboard Tournament® presented by GM Marine Engine Technology at Callaway Gardens. During the final day of competition, new Masters champions were made at the most prestigious event in all of watersports. The all-new Ski Nautique pulled the best waterskiers in the world to victory, while the Super Air Nautique G23 was on-hand to pull the best wakeboarders and wakeskaters to Masters titles as well. In the Women's Trick division, Neilly Ross took home the win beating the rest of the stacked final of all Nautique athletes. Neilly scored 9,550 points to earn the victory. "It's been a whirlwind of a weekend," said Neilly "Competing in Junior Slalom and then Pro Trick, I had a tough winter with an injury but have worked extremely hard and couldn't be more grateful to be back on the water at the Nautique Masters. There's no other event like it and I'm so honored to be here and take home my second pro Masters title." After Neilly, team Nautique athletes Erika Lang (USA), Natallia Berdnikava (BLR), and Anna Gay (USA) rounded out the Final round respectively. During the Final round of the Masters Big Dawg competition, Jeff Rodgers (USA) claimed victory against Greg Badal (USA). We'd like to congratulate Federico Jaramillo (COL) on winning the O'Brien Watersports scholarship during the Junior Men Slalom exhibition. Manon Costard (FRA) won the Pro Women's Slalom division after defeating Regina Jaquess (USA) in a run-off after they both ran an exceptional 2 @ 39.5-off. 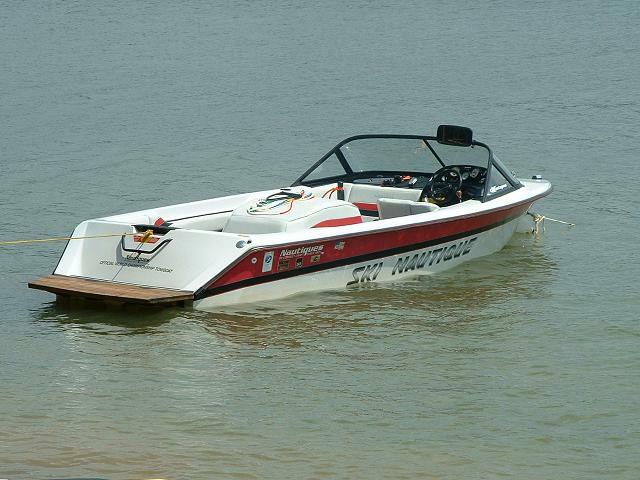 Pulled by the all-new Ski Nautique, Whitney McClintock grabbed third place after running 1 @ 19.5 off. Nautique athlete Jacinta Carroll continued her reign with another win in the Pro Women's Jump division. Jacinta blasted a 176 foot (53.8m) jump in the final to beat fellow Nautique team athlete Natallia Berdnikava (BLR) who posted a 159 foot (48.3m) jump. They were followed by Hanna Straltsova (BLR) and Lauren Morgan (USA) respectively.